Everyone over 18 who has capacity to make a Will, should make one. It does not matter how large or small your Estate may be, it’s important to have a valid Will. To be valid, a Will must be in writing, dated, signed by the person making the Will (the testator) in front of 2 witnesses. Witnesses must be over 18, cannot be visually impaired and should not be beneficiaries of the will. If you have a spouse and a child, your spouse receives $150,000 plus household chattels plus ½ of the balance (or 1/3 if more than one child). It may be more costly and take longer to administer your estate. make arrangements for the succession and continuation of your business, or sale of the business. You should change your Will if you: get married, divorced or separate from your partner, enter into a defacto relationship, have children or grandchildren, your executor or beneficiary dies, there is a change in your financial circumstances or your wishes change, retirement, a natural disaster. 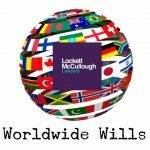 Lockett McCullough Lawyers has extensive experience in drafting Wills that clearly set out your wishes and give you peace of mind. 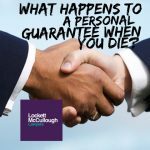 We will offer you advice and experience in drafting your Will and also assist your Executors once you have passed away. We also offer a Safe Custody service to our clients where we will hold your Will and/or Enduring Power of Attorney securely. 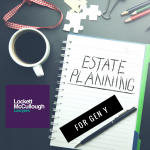 This avoids any uncertainty over the location and content of your Will.